Thank you for entrusting the care and attention of your animal to Eden Veterinary Practice. This document details our Practice Terms and Conditions – some aspects may not be relevant to you, and we request that you ask for further explanation/clarification where necessary. By accepting our services and purchasing our goods, you, the client, contractually agree to the Terms & Conditions of Business as laid out below. You must provide us with correct and up to date personal information to include name, contact details, animal details, details of ownership and details of other vets whose care the animals have been under. It is our policy that all consents for any form of treatment must (except in exceptional circumstances) be given by an owner or owner’s representative over 18 years of age. All fees, diets and drug charges are subject to VAT at the current rate. Fee levels are determined by the time spent on a case and according to the drugs, materials, consumables and diets used. Our written fee is available on request. A detailed fee note is available for every consultation, surgical procedure or transaction with us. Please note that there is a charge made for repeat consultations – these are for the benefit of a pet, and attract a fee like any consultation. We will provide a written estimate as to the probable costs of a course of treatment. Please bear in mind that any estimate can only be approximate – often an animal’s illness will not follow a predictable course. Should an account not be settled at the time, an invoice will be sent at the end of the month. After due notice to you the client, overdue accounts will be referred to our Debt Collection Agency and further charges will be levied in respect of costs incurred in collecting the debt, such as production of reports, correspondence, court fees, attendance at court, phone calls, home visits etc. Any Credit Card not honoured, Cheques returned as unpaid or any Cash tendered that is found to be counterfeit will result in the account being restored to the original sum with further charges added in respect of the bank charges and administrative costs. We reserve the right to withdraw our services from any client who fails to settle an account or with a history of tardy settlement. Invoices are to be settled within 30 days from the date of the invoice. Where treatment is on-going we request payment is made after each monthly invoice. Statements will be sent every month along with the invoice for the previous month’s work. If invoices are not paid within 60 days, we reserve the right to close the account and refer to a debt collecting agency. Eden Veterinary Practice reserves the right to charge interest on overdue accounts, plus charge costs of debt recovery to the client. If, for any reason, you are unable to settle your account as specified, we ask you to discuss the matter as soon as possible with a member of staff. Please note that instalments or part-payments of any account may ONLY be sanctioned with the express permission of the Practice owners. To ensure continued service, payment plans must be adhered to. We do not accept PDSA vouchers. Eden Veterinary Practice supports the principle of insuring your pet against unexpected illness or accidents. Any insurance policy held is an agreement between you and the insurance company – not with the practice. Please ask for details about insurance from any member of staff. Please be aware that it is your responsibility to settle your account and then reclaim the fees from your insurance company. Only where specific agreement has been sought might we defer this requirement on the basis that your insurance form is signed so that payment is made directly to us and that the insurance company have agreed to the claim in principle. You will be responsible for any excess, for costs not covered by your insurance policy, and any costs later rejected by your insurance company. Please note that where an insurance company requests information from us, we are obliged to provide a complete medical history and full details of all costs. For the avoidance of doubt, we cannot influence or attempt to influence an insurance company. We hope you never have recourse to complain about the standards of service received from Eden Veterinary Practice. However, if you feel that there is something you wish to complain about, please direct your comments in the first instance to the Practice Owners. 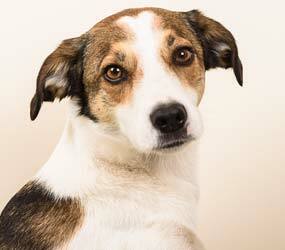 Should your pet ever require veterinary attention out of practice hours, we are here to help. If you phone the normal practice number of 01334 650888 your call will be answered day or night. Your details will be taken and one of our vets will phone you back to either offer advice, arrange for you to bring your pet to the practice or arrange a house call if required. The overnight care of any inpatient at the practice is the responsibility of the duty vet. There is no 24 hour on site nursing care. The frequency of checks depends on the condition of each separate patient, and decided on an individual basis, by the duty vet. Case records including radiographs and similar documents are the property of, and will be retained by, Eden Veterinary Practice. Copies with a summary of the history will be passed on request to another veterinary surgeon taking over the case, or to referral vets if deemed necessary. No addition or variation of these conditions will bind the Practice unless it is specifically agreed in writing and signed by the Practice Owners. No agent or person employed by, or under contract with, the Practice has the authority to alter or vary these conditions in any way. Should you wish it, you may request a prescription for any product we deem necessary for the treatment of your pet. This prescription will be issued to you to be filled by the outlet of your choice. Any prescription requested during a consultation will be available by the start of the next consultation period – we cannot stop to fill in prescriptions during our surgeries as to do so would delay the appointments to an unreasonable level. Any prescription requested out with a consultation must be requested 48 hours in advance to ensure it is ready for collection. Prescriptions will be issued for a maximum of one month with up to two repeats, after this time a repeat examination will be necessary at our usual repeat examination rates. Prescriptions will be issued for no more than the minimum amount required for treatment, and any for a controlled drug will last only 21 days (by law). We will provide our services using reasonable skill and care. You will follow all reasonable instructions which we give to you. We are responsible for loss or damage which you suffer that is foreseeable as a result of our breach of these terms or our negligence but we are not responsible for any loss or damage that is not foreseeable or which is suffered due to your failure to follow any of our instructions. We have no liability to you for any loss of profit, loss of business, business interruption or loss of business opportunity. Further, we will not be liable or responsible for any failure to perform, or delay in performance of, any of our obligations under these terms that is caused by an event outside our reasonable control. If such an event takes place, we shall contact you as soon as reasonably possible to notify you. You may cancel any provision of our services at any time before the start date for the provision of the services but you will pay us in respect of any goods which have been ordered in respect of those services. If you cancel provision of services where we have already started work, you will also pay us any costs we reasonably incurred in starting to provide the services. You may cancel provision of the services with immediate effect if we breach these terms in any material way and we do not fix the situation within 14 days of you asking us to do so; or if we go into liquidation, administration or receivership. Otherwise, you may only cancel if you give us 30 days notice in writing. We may cancel the provision of services at any time before the estimated start date, due to an event outside our reasonable control or the unavailability of key personnel or key materials without which we cannot provide the services. We may cancel the provision of services at any time with immediate effect if you do not pay us when you are supposed to or if you breach these terms in any other material way and you do not fix the situation within 14 days of us asking you to in writing. Otherwise, once we have begun to provide the services to you, we may only cancel provision of the services by giving you 30 days notice in writing. Other We may transfer our rights and obligations under these terms to another organisation and we will notify you if this happens. These terms are governed by Scots law and you and we agree to submit to the non exclusive jurisdiction of the Scottish courts. LASTLY, IT IS PRACTICE POLICY THAT ABUSE OF STAFF (VERBAL OR PHYSICAL) WILL NOT BE TOLERATED IN ANY SHAPE OR FORM. ANY SUCH BEHAVIOUR WILL RESULT IN THE IMMEDIATE WITHDRAWAL OF PRACTICE SERVICES FROM THE CLIENT AND THE ADDRESS INVOLVED AND POLICE ACTION IF NECESSARY.